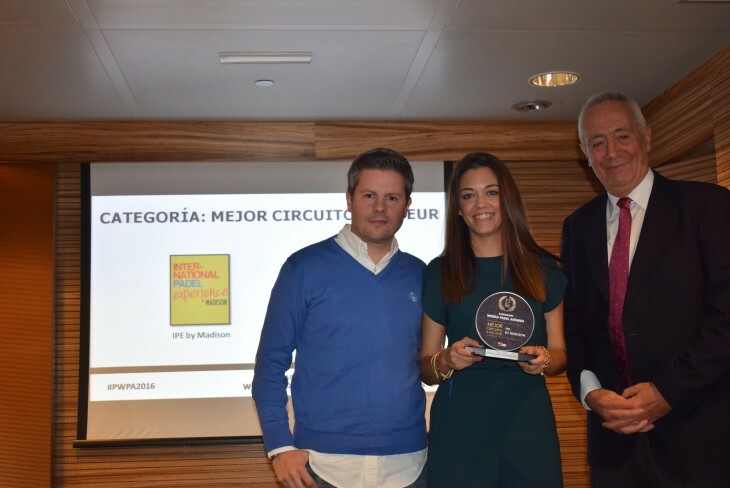 The International Padel Experience by Madison has received the award as the best amateur circuit of the year at the PadelSpain World Padel Awards 2016, awards of great importance and national and international recognition that reward the best in the world of the paddle after a whole season of work , Effort, sacrifice and talent in their different categories, and which have the support of the Spanish Federation of Padel. In a trophy ceremony held in the press room of IFEMA, which hosts the Estrella Damm Masters Final, the last World Padel Tour course, the only amateur paddle international circuit that has existed This important trophy thanks to the votes of all the fans and readers of the prestigious online portal specialized in paddle information. The IPE by Madison has experienced an exponential growth since its creation, four years ago, which has served to gain the recognition of the world champion with this prestigious award. In its first chapter, England, Portugal, Sweden and Spain were the four pioneer countries of a circuit, which laid the first stone in the internationalization of the paddle with a project focused on exporting the sport of fashion in Spain to other countries. 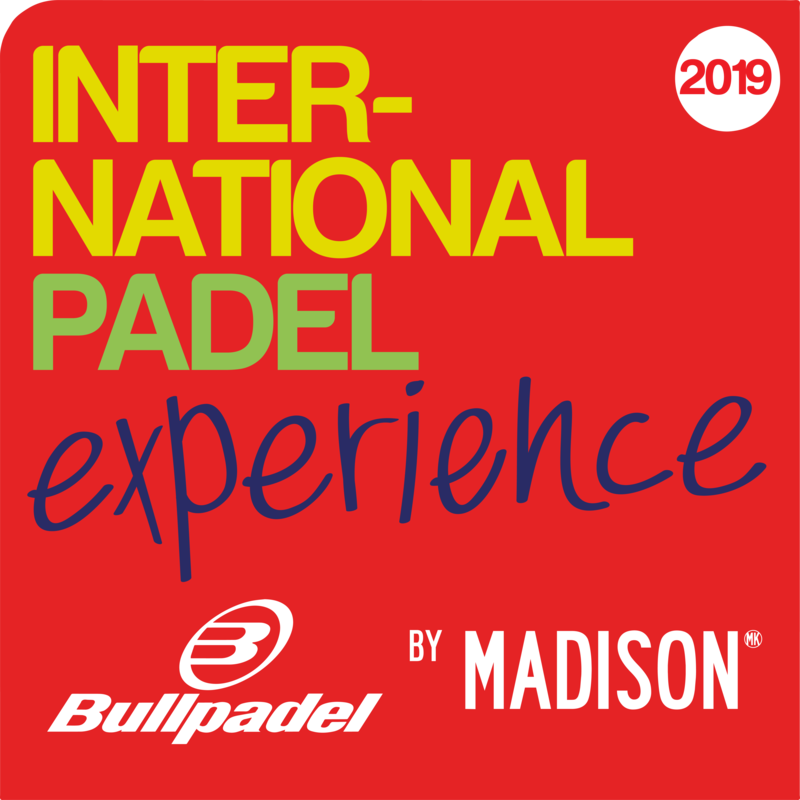 After five editions, the International Padel Experience by Madison has established itself as an international reference event and those four scenarios that drew the first edition have given way to the 14 dates of 2016, with more than 1,500 players, ten countries and more Of 20 nationalities in liza. These data were significant for the selection of the circuit as one of the candidates to obtain the award in PadelSpain World Padel Awords, whose jury has been formed by distinguished personalities of the world of the paddle world such as David 'Pitu' Losada, Jon García Ariño ( National coach), Óscar Solé, Neki Berwig, Roby Gattiker, Fabrice Pastor, Emilio Forcher, Dante Luchetti and the journalist Siro López. The organization of the International Padel Experience by Madison wants to thank the great effort of all the players who have participated in the tournaments of the circuit since its creation, as well as the clubs that have hosted each of the tests and, of course, the sponsors Who have accompanied Madison since the birth of this circuit and especially those who have supported the project in 2016 as Estrella Damm, Bullpadel, Alberto's Cellar, Gripping Gel and VOLVO, which was present at the Malaga Open. In addition, the contribution of IPE by Madison's official media partners such as PadelSpain, Padel Absolute and Padel TV, meanwhile, has also been instrumental, allowing a wide audiovisual summary of each tournament to be enjoyed by all fans. Without them, it would not have been possible to grow and convert the IPE by Madison in an event of global magnitude and reference. With no time for rest, Madison is already working on the news and surprises it has prepared for 2017 with new countries, more venues, more participation and a multitude of incentives for all players who want to embark on the exciting adventure of enjoying a tournament Premium in destinations with high tourist content.